I came across this picture a couple of days ago and wondered what it was. It is a ceremony conducted Monday in honor of the opening of the Center for Combating Extremist Ideology in Saudi Arabia. 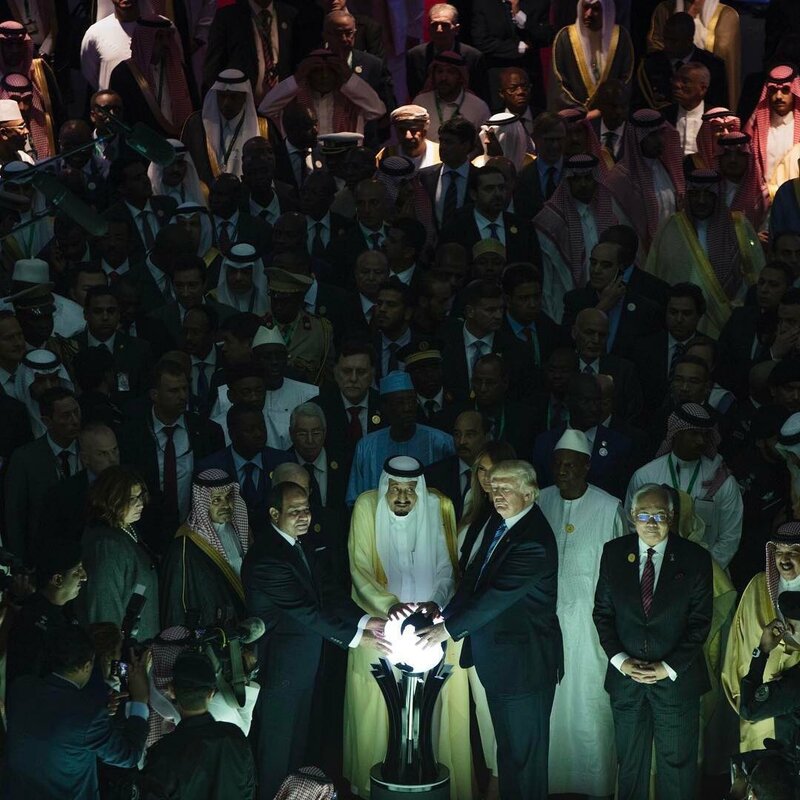 The participants touching the glowing orb are Egypt’s President Abdul-Fatah Al-Sisi, Saudi King Salman bin Abdulaziz and President Donald Trump. The name of the center is ironic, because Saudi Arabia is the center for extremist ideology in the Arab world. Saudi Arabia pays for missionaries to spread Wahabism (or Salafism), a highly intolerant version of Islam. Wahabists believe that Shiites and other Sunnis are not true Muslims. King Salman and his son, Prince Mohammad bin Salman, are waging a bombing campaign against Shiite villagers in Yemen, is stepping up aid to rebels in Syria and is trying to organize a Sunni Arab military alliance against Iran. Voters in Iran, meanwhile, have re-elected President Hassan Rouhani, the moderate reformer who negotiated the nuclear deal with the USA. Rouhani is more democratic and peaceable than the hereditary Saudi rulers. He has won honest and contested elections. The range of choices in Iranian elections is limited because the ayatollahs vet candidates. But you could say the same about U.S. elections, except that our candidates are vetted by big-money donors. The Saudis seek regime change in Syria and Yemen; Rouhani seeks increased trade and investment. In Middle East geopolitics, the Saudi monarchy is the aggressor, the Iranian clerical regime is the one on the defensive. That doesn’t mean that I think the United States should side with Iran against Saudi Arabia. The U.S. government should not take sides at all in Middle East conflicts. Global Center for Combating Extremism in Riyadh adopted unprecedented techniques by Al Arabia English news service. When Peace Is a Commodity: Trump in the Middle East by Robert Fisk for Counterpunch. 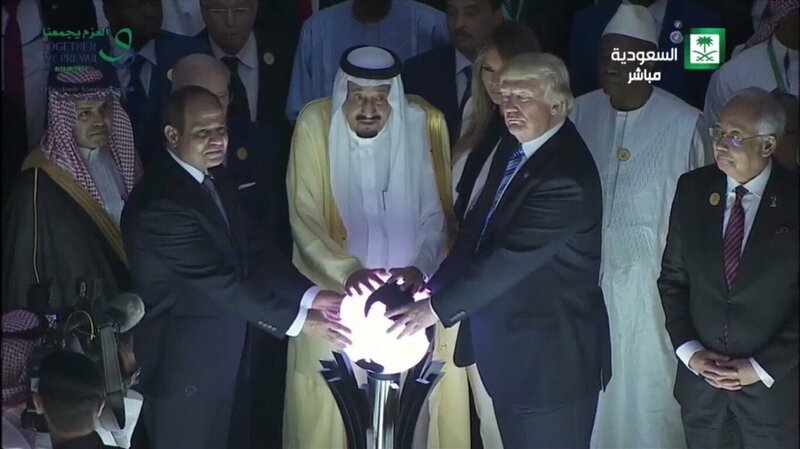 A Gathering of Autocrats: Trump Puts US on Sunni Muslim Side of Bitter Sectarian War With Shias by Patrick Cockburn for Counterpunch. Donald Trump’s Politically Correct Speech in Saudi Arabia by Peter Beinart for The Atlantic. Rouhani’s victory is good news for Iran, but bad news for Trump and his Sunni allies by Robert Fisk for The Independent. 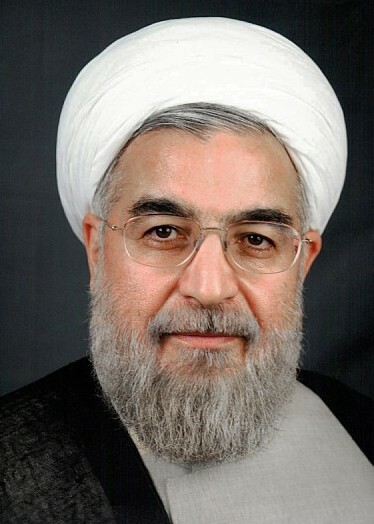 Iran bets its future on ‘reformist’ Rouhani by Pepe Escobar for Asia Times. In Translation: al-Qaeda goes global by Mohammad Si’ali of the Center for Kurdish Studies. Al-Qaeda is trying to re-brand itself as the moderate alternative to the Islamic State (ISIS). This entry was posted on May 24, 2017 at 4:29 pm and is filed under Foreign Affairs, Religion. You can follow any responses to this entry through the RSS 2.0 feed. You can leave a response, or trackback from your own site.